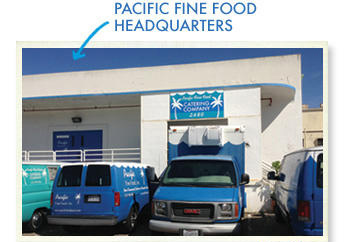 Pacific Fine Food Catering, Inc. – Pacific Fine Food, Inc is an Alameda based, specialty catering company. Serving the entire Bay Area. 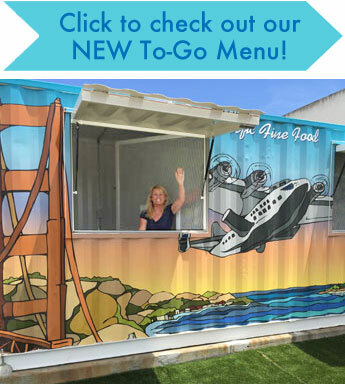 We’re a corporate caterer with deliciously fresh & healthy food. Our goal is to bring you the best breakfast, lunch and snack in town. While other caterers spend their weekends at Wedding Fairs, we spend ours puttering in our herb garden and tending to our beehives. That’s why we start every recipe we can with our own herbs and the honey we collect from our generous, hard-working Italian Honey Bees. We’ll go to any length to make sure our food is fresh and delicious. 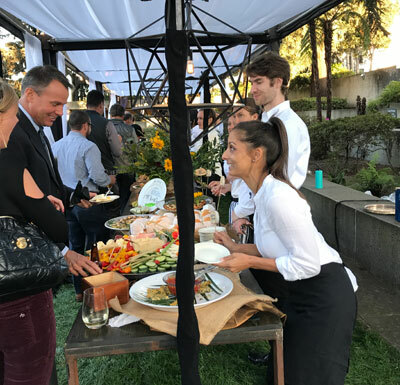 Unlike other Corporate Caterers, we sing little songs like ‘Always Look on the Bright Side of Life’ while we wash our hands and add unexpected surprises–like platters garnished with edible flowers. And if we told you how many ways we can cook salmon, you probably wouldn’t believe it. Our zest for life shows in our food and in the presentation. Most of the staff are Mommies re-entering the work force and we’re all thankful to be gainfully employed and working in the Bay Area. We are all invested in giving back to the community and it makes our food that much better. Our clients are fantastic. 90% are repeat customers. They take us with them, wherever they go. They love it that we’re never late, they love our warm scones & homemade jam and they love that we’ll tailor any menu to accommodate food allergies or dietary restrictions. On our home page, I wanted to give you a glimpse of us. Here we are, nice to meet you and thank you for visiting us today. 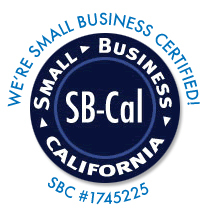 Pacific Fine Foods is a Better Business Bureau (BBB) Accredited Business and earned a grade A+ through the BBB’s rating system! 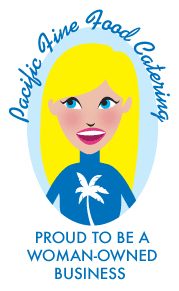 Copyright 2019 | Pacific Fine Food Inc.